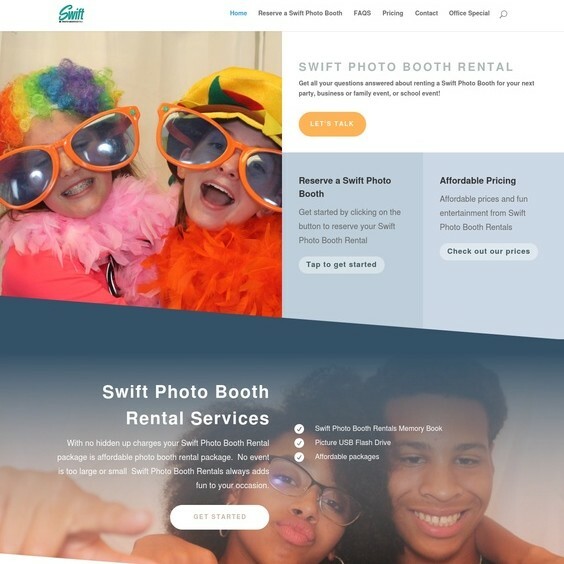 Promoting a side business for a customer with another website, Pegasus Ventures picked up her websites after issues arose with the original web design company back in 2014. From 2014 until a complete redesign of the website in August 2018 Pegasus Ventures works to help our customer grow her unique business model in the Grand Rapids and Western Michigan market she serves so well! 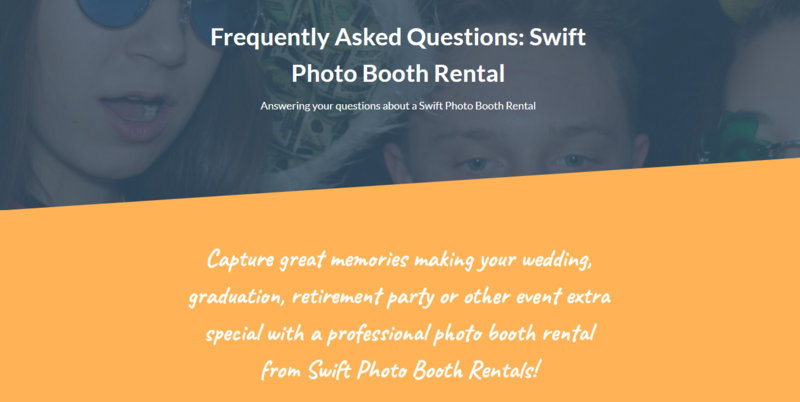 Pegasus Ventures Michigan redeveloped the Swift Photo Booth Rental website in August 2018 as part of moving clients to a content management system bringing many more capabilities to both the customer and Pegasus Ventures as we manage web presence for small business clients. In fact, Pegasus Ventures Michigan maintains a regular program updating client websites ensuring our customers never end up out of date. As part of the Pegasus Ventures one price, once a year Pro Plan for website design and development our customer paid nothing for an entirely new look and upgrade. As always the new look included search engine optimization and as well as all Pegasus Ventures brings to the work of webdesign and development including “responsive” design to ensure the website works with any user device from desktops to the latest smartphone. One feature Pegasus Ventures encourages all customers to use? 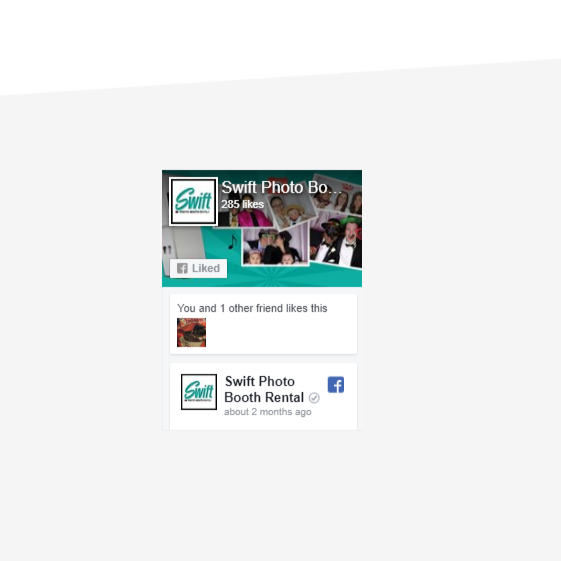 Embedding Facebook on pages of the website. Let folks know your small business engages with them over Facebook by embedding the businesses’ news feed! Pegasus Ventures Michigan also powers this owner’s mobile notary public business website. 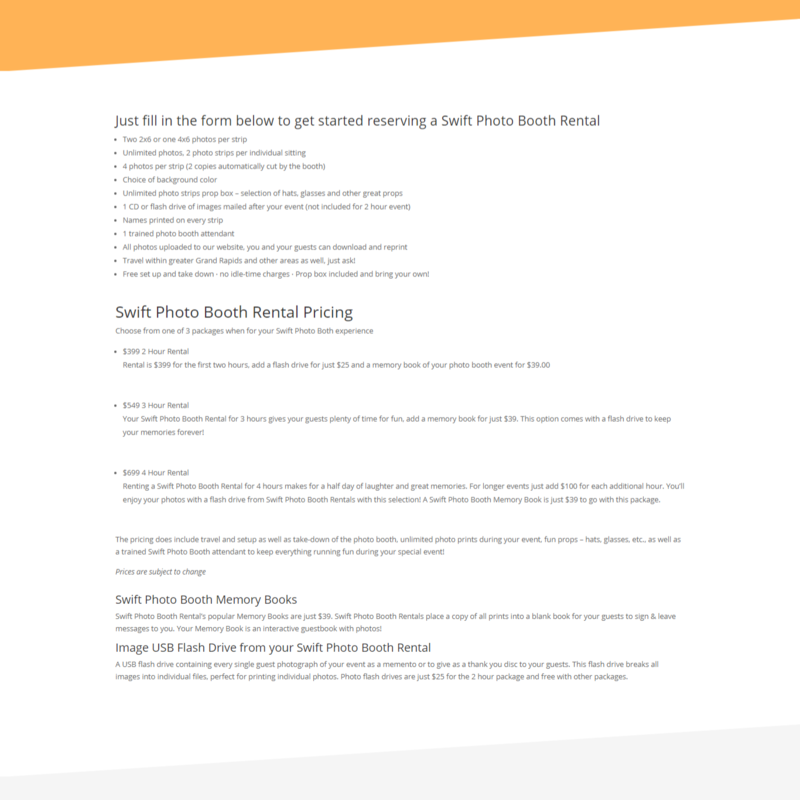 Swipe here to see learn about Swift Mobile Notary serving Grand Rapids and West Michigan.